We currently hold events open to anyone at Ruby Red's wine cellar in Hongqiao. We also host corporate events and private parties/workshops such as tastings, cocktail classes, competitions and other activities at any venue desired. Read more about Ruby Red's cellar and how to find it here. Have you ever wanted to taste and enjoy cocktails that you have made yourself? Learn about the art of cocktail making and practice making cocktails yourself at Xiegaoshan’s wildly popular cocktail workshop. Enjoy a fun night out with friends mixing, stirring and shaking classic cocktails and less known specialties. Listen to fun facts about the history and origin of cocktails, learn about cocktail-making techniques and mix five different cocktails yourself. The finest French liqueurs combined with a unique location (Ruby Red’s wine cellar is located in an old air raid shelter) create a unique experience that you should not miss! Event: "Hands-on" cocktail workshop, including seminar and five cocktails. Participants: Limited to 25. Turn up on the night or RSVP to ensure a place. Date: Sunday, October 19th, 5:00 PM - 7:00 PM. Location: Ruby Red Fine Wines, No. 41b, Underground Cellar, Tian Shan No. 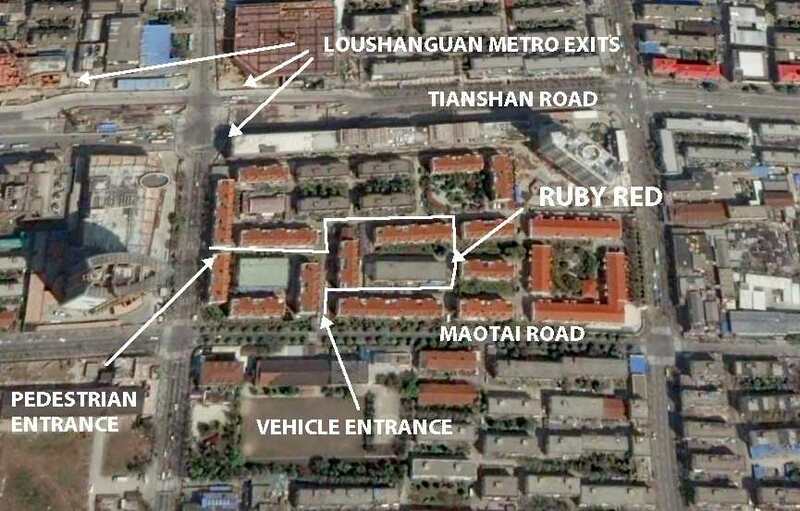 2 Borough, Zun Yi Road, Hong Qiao. Satellite image and Map. Learn a little about cocktails, and enjoy a fun night out with friends? Xiegaoshan is starting regular cocktail "seminars" @RubyRed right by Loushanguan Metro. Discover fun facts about the history and types of cocktails while making your own. Opera, Kentucky Summer, Gloom Chaser and more - you won't find these anywhere else in Shanghai! Date: Sunday, September 7th, 5:00 PM - 7:00 PM. Location: Ruby Red Fine Wines, No. 41b, Underground Cellar, Tian Shan No. 2 Borough, Zun Yi Road, Hong Qiao. Here is a map. Haitian oranges, Curaçao Larahas, finest lemons and mandarines - these citrus fruits make sumptuous liqueurs and yield delicious cocktails. 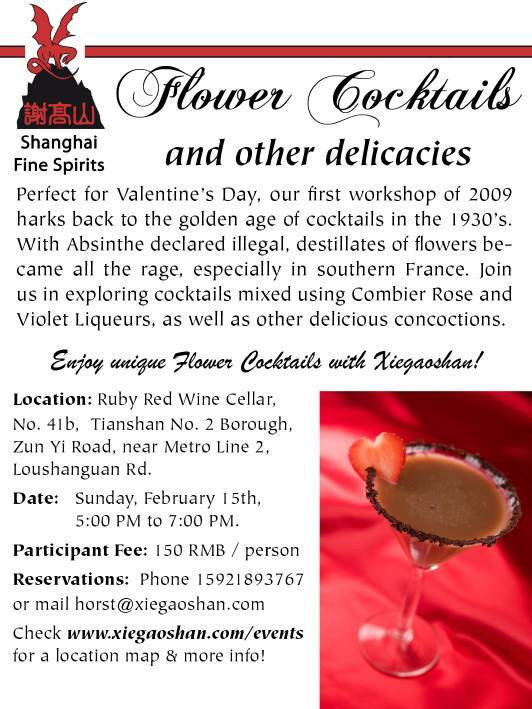 Come for an evening of fun, learn about the fruits and mix five citrus drinks yourself: The Woman Warrior, the Bastille Bomb and more - guaranteed to be unique in Shanghai! Date: Sunday, July 13th, 5:00 PM to 7:00 PM. 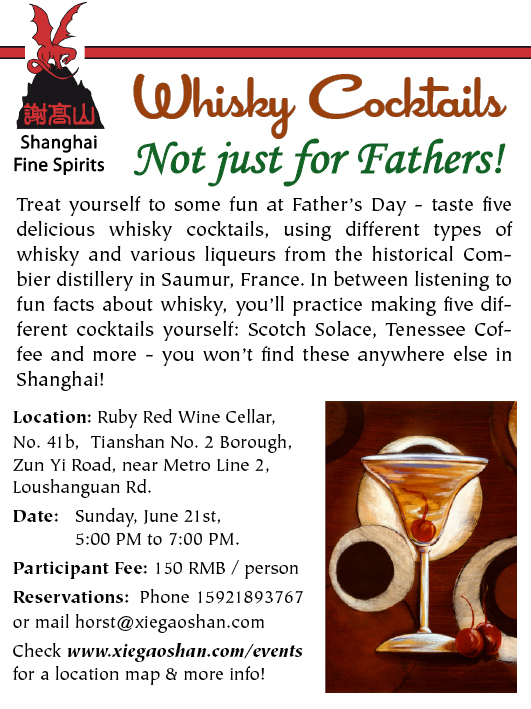 Treat yourself to some fun at Father's Day - taste five delicious whisky cocktails, using different types of whisky and various liqueurs from the historical Combier distillery in Saumur, France. In between listening to fun facts about whisky, you'll practice making five different cocktails yourself: Scotch Solace, Highland Lemon and more - you won't find these anywhere else in Shanghai! Date: Father's Day - Sunday, June 15th, 5:00 PM to 7:00 PM. Spring is coming, and with it Shanghai is awakening from its winter hibernation. What better time to prepare for summer night parties, learn a little about cocktails, and enjoy a fun night out with friends? 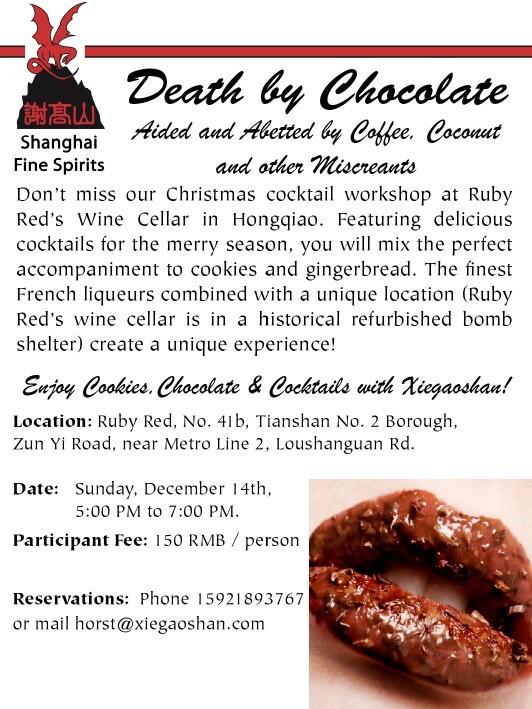 Xiegaoshan is starting regular cocktail "seminars" @RubyRed right by Loushanguan Metro. Discover fun facts about the history and types of cocktails while making your own. Opera, Kentucky Summer, Combier Sec and more - you won't find these anywhere else in Shanghai! Date: Friday, March 28th, 7:30 PM.